Gilbane provided general contractor services for the new U.S. 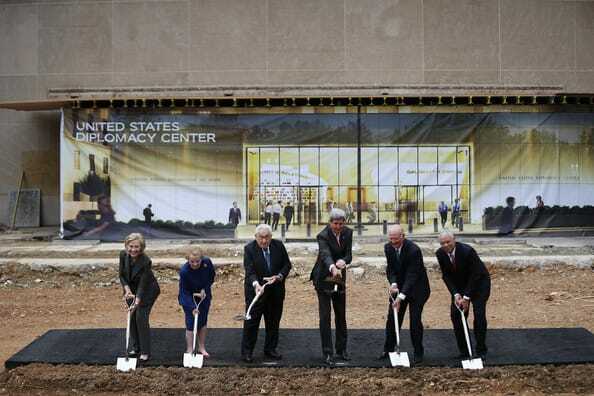 Diplomacy Center Pavilion. 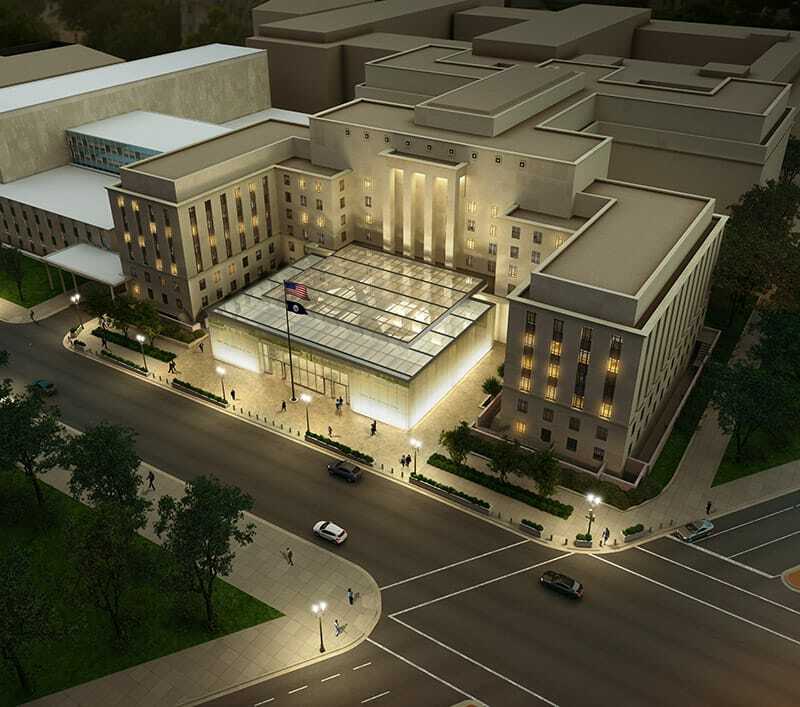 The project comprised approximately 22,375 square feet adjacent to the State Department’s old War Department Building along 21st Street, NW, in Washington, DC. Work included a new entrance/exhibition and security pavilion within the existing building forecourt and involved historic building elements requiring an appropriate standard of care. The entrance pavilion includes a Lower Level accessible by elevator and grand stair, and a Main Level. The pavilion is constructed of steel on a concrete base with a glass curtain wall enclosure system. Read this article, starting on page six, in the Building Washington, Winter 2016, The Voice of Constructioni in Washington, DC publication. Flagpole and granite base, to be removed, salvaged and reinstalled. Limestone dimension wall panels, to be removed, salvaged and reinstalled. Granite watercourse panels, to be removed, salvaged, cataloged and, potentially, reinstalled. Bronze building plaque, to be removed, salvaged, restored and reinstalled. Three pairs of bronze entry doors, to be restored in-place. Project targets LEED Silver certification.